Russia’s dalliance in Latin America is part of the Kremlin’s broad campaign to undermine and oppose the United States. You know there’s a lot going on in the world when one of the greatest geopolitical events in decades goes from being dramatic news to marginal news in a matter of weeks. Sometimes news can be its own worst enemy. Although Russia’s recent monopoly of the headlines has been replaced by America’s precipitous slide into economic oblivion, its resurgence on the global stage is no less significant or frightening today than it was the day Russian tanks rolled into Georgia. On August 8, a deep-rooted wedge was driven between the United States and Russia. That invasion, as has now become apparent, was a preliminary battle in a broad, calculated campaign to oppose and undermine perceptions of U.S. global hegemony! “Russia’s attack on Georgia,” wroteTrumpet editor in chief Gerald Flurry, “marks the beginning of a dangerous new era in history.” We should not consider it a minor incident or an anomaly. That attack was a watershed event in a larger, history-altering campaign—a campaign that redefines Russian foreign policy, and which Russia continues to pursue! Here’s what Stratfor founder George Friedman wrote not long after the events of August 8: “U.S. Presidents George H.W. Bush and Bill Clinton had promised the Russians that nato would not expand into the former Soviet Union empire. That promise had already been broken in 1998 by nato’s expansion to Poland, Hungary and the Czech Republic—and again in the 2004 expansion, which absorbed not only the rest of the former Soviet satellites in what is now Central Europe, but also the three Baltic states, which had been components of the Soviet Union” (August 12). For years, America’s dabbling in Eastern Europe and the Balkans infuriated the Russians, but Moscow was too weak to do anything about it. “The Russians … tolerated all that,” continued Friedman, “but the discussion of including Ukraine in nato represented a fundamental threat to Russia’s national security. It would have rendered Russia indefensible and threatened to destabilize the Russian Federation itself. When the United States went so far as to suggest that Georgia be included as well, bringing nato deeper into the Caucasus, the Russian conclusion—publicly stated—was that the United States in particular intended to encircle and break Russia” (emphasis mine throughout). For years, America prodded what it thought had been reduced to a cub. But in August 2008, it woke a bear! Russia’s invasion of Georgia was a message to America: We are tired of you living in our backyard! Since August, the breadth and depth of the Kremlin’s campaign to oppose and destabilize American power has come into sharper focus. Among the primary goals of the newly empowered Russian state is the resurrection of its Cold War-era influence, particularly in America’s backyard: Latin America. “Russia must keep U.S. efforts dispersed and captured by events as far away from the Russian periphery as possible,” wrote Stratfor’s Peter Zeihan recently, “preferably where Russian strengths can exploit American weakness. So where is that? … No place better reflects Russia’s intelligence strengths and America’s intelligence weakness than Latin America” (September 15). Americans would do well to watch Latin America closely: For years we danced in Russia’s backyard; now the Kremlin is beginning to dance in ours! Consider the Kremlin’s recent dalliances in South America, particularly Venezuela, with this broader campaign in mind. The Russians and Venezuelans have had friendly relations for years, but since August, activity between the two has surged. On September 10, two Russian Tu-160 “Blackjack” bombers landed in Venezuela. Not long after, the Russian government announced that it was also sending a fleet of Russian Navy ships, headed by the 25,000-ton nuclear battle cruiser Peter the Great, to participate in war games with Venezuela in the Caribbean in November. Why would Russia go to the financial and political expense of sending its military all the way to the Caribbean to participate in war games with a relatively insignificant military power? Simple. Moscow is reminding America it has friends in the region, and that it is capable of causing trouble inside America’s neighborhood. That message was punched home last week when Venezuelan President Hugo Chávez met with Russian President Dmitry Medvedev and other Russian leaders for two days of discussions. Among other agreements, Russia agreed to lend Hugo Chávez $1 billion to implement a military cooperation program and offered to help Venezuela develop and construct nuclear energy. Talk about ironic. During the 1990s, when Russia was relatively powerless, Washington danced unimpeded around Eastern Europe and the Balkans, welcoming countries into nato, writing agreements for military cooperation and courting former Soviet satellites. Now America, by dint of its demonstrable lack of political will, is being reduced to the status of a geopolitical runt, and a strong, emboldened Russia is waltzing around Latin America, writing checks to petty dictators, seemingly selling weapons to anyone who wants them and generally fomenting anti-Americanism throughout the region. It’s the Cold War all over again, except with some key—and, for America, sobering and painful—differences. Today, because Venezuela, Nicaragua, Cuba and even Bolivia are already steeped in anti-American sentiment, the Russians have several easily exploitable safehouses at their disposal from which to disrupt America’s neighborhood. Anti-Americanism throughout Latin America is providing the Russians with splendid opportunity. “[I]t is abundantly clear,” wrote Stratfor, “that the Russians have a real interest in making trouble in the Western Hemisphere. And with the Russians actually spending money in the region, Moscow’s promises have suddenly become more credible” (ibid.). It’s the perfect symbiotic relationship. Russia, for a relatively small cost, gets like-minded anti-American minions willing to assist it in undermining and distracting America. Meanwhile, Latin America’s rogues, marginalized by Washington, get money, trade benefits, political support and credibility from an international power for merely intensifying their anti-Americanism. The most alarming agreement announced last week was that Russia would support Venezuela’s efforts to acquire nuclear energy. “There is, perhaps, nothing more unsettling for the United States,” wrote Stratfor, “than Russian promises of nuclear technology in Venezuela” (ibid.). For years, the Russians have been a central player in the Iranian nuclear program, not just assisting with construction of nuclear technology and facilities but also proving to be a spoiler in the West’s efforts to stop the program and punish Tehran for its rogue nuclear activities. Now the Kremlin is talking about doing the same with Venezuela, a similarly anti-American state just a three-hour flight from Miami. What interest, other than helping create a major threat in America’s underbelly, does Russia have in helping oil-rich Venezuela develop nuclear energy? Here’s something else to consider. Under Hugo Chávez, Venezuela has been transformed into a thriving hideout, breeding ground and staging point for terrorism and the black-market nuclear trade. Venezuela’s president counts the world’s most noxious terrorist organizations, including Hezbollah and the Revolutionary Armed Forces of Colombia (farc), among his friends, and uses state resources to provide them sanctuary. He is also close to Iran, the number-one state sponsor of terrorism in the world. Venezuela is already a recipe for disaster. Toss Russia into the mix, and the likelihood for catastrophe soars! South American drug groups or Islamic terrorist cells in Latin America don’t need Russia’s money, “but they do need weaponry and a touch of training—needs which dovetail perfectly with the Russians’ strengths” (ibid., September 15). You can be sure the Russians would be more than happy to help out if it means creating havoc on America’s home turf. “Obviously, Russian state involvement in such areas will be far from overt …. But this is a challenge the Russians are good at meeting. One of Russia’s current deputy prime ministers, Igor Sechin, was the ussr’s point man for weapons smuggling to much of Latin America and the Middle East. This really is old hat for them” (ibid.). How concerned are you about Russia’s efforts to reassert its power in Latin America? The Kremlin now considers that region a battleground in its sworn campaign to undermine and oppose American interests! In fact, Russia is positioning itself to besiege the United States, just as God prophesied would happen to America: “And he shall besiege thee in all thy gates, until thy high and fenced walls come down, wherein thou trusted, throughout all thy land: and he shall besiege thee in all thy gates throughout all thy land, which the Lord thy God hath given thee” (Deuteronomy 28:52). 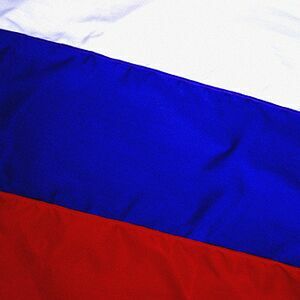 Russia’s growing presence in Latin America is an indication that this biblical prophecy is on the way to being fulfilled! We must watch Russia! As Gerald Flurry warned, Russia’s attack on Georgia “marks the beginning of a dangerous new era in world history.” That event was not an isolated outburst of aggression. Russia has embarked on a campaign to undermine and oppose American interests—and that’s what the Kremlin’s latest ventures in Latin America are all about. But you also need to understand how this development fits with the overall picture of end-time biblical prophecy. Throughout the Cold War, Herbert W. Armstrong showed, based on revealed Scripture, that Russia was not the enemy America needed to be primarily concerned about! There is another part of this equation. As we have indicated in previous articles, the European Union, Latin America’s long-time trading partner, has a vital interest in securing increasing access to the continent’s rich raw materials resources, in addition to capturing it as a vital outlet for EU exports. Ideologically, Latin America leans to Rome, not to Moscow. Its continental language is European at its roots. Watch for tensions to mount in the competition for Latin America’s riches as Russia and China’s efforts are increasingly met by overt action from the EU. Such tensions, added to the basket of woes the English-speaking nations already face, will stretch the U.S. and its allies beyond the capacity to cope. With international ructions, such as are foreshadowed by current events in Latin America, rising toward boiling point, now, more than ever, is a time to watch world events. There is a way for you to escape the seemingly innumerable catastrophes that literally increase day by day amid this broiling world disorder. The Trumpet can help you do this. Stay tuned to this website; dig into our archive and investigate our literature. The faster world stability unravels, the more we’d like to help you understand the chaos increasingly overtaking this planet—and to escape it! Is Chávez Helping Terrorists Go Nuclear?